Looking for seclusion? This beautiful spot is a must! Though Indian Pointe can accommodate up to five people, it is best appreciated as a romantic hideaway for 2. Enjoy all the comforts of home and more, while you relax in the outdoor hot tub overlooking the Kalamazoo River and Potawatomie Marshlands. Bird-watch from the screen room, ride your mountain bikes, kayak through the marsh, cross-country ski, take your puppy for a long walk in the woods, then cook in or out...all with a view to behold. Chances are you won´t want to leave to dine out, but fine dining options in Saugatuck & Douglas are only a moments drive away. Cedar walls, vaulted ceilings and an entire east wall of glass blend the house with its surrounding 2 acres of woods and river front. Snuggle in front of the fire, share wine on the screened deck, fish from the seawall, spot bald eagles circling the marsh, and listen to the ancient cries of the Sandhill cranes without leaving the property. A 5 minute drive places you in the heart of Saugatuck, and in 7 minutes you can be stretched out on Lake Michigan´s Oval Beach, rated one of the 5 most beautiful beaches in the country! So whether your vacation plans include wild life or the WILD life, Indian Point will be one spot you must revisit time and again. Other amenities include: WiFi, riverfront fire pit, DISH TV, central AC, washer & dryer. Joe and Lynda Petty moved to Saugatuck in 1983 when they purchased The Park House and converted it into a bed and breakfast. Falling in love with the area, we purchased the property at Indian Point to have a place to 'retire' once our innkeeping days were done. Indian Point was the first property in our rental program and it became such a successful rental that we only get to use it ourselves a few weeks a year. The first time we took a drive down 131st Street we both said, 'Boy, we could sure live here!' Ten years later we needed a break from the inn so we took a drive to an advertised open house. When we walked in the door and looked over the marsh we decided we had to have the house. Even though it was the Saturday of Labor Day , we put the deal together before the end of the weekend. Our 2 favorite activities are relaxing in front of the fireplace and sitting in the hot tub! We never even turn the jets on, preferring instead to hear all the sounds of the marsh at night. The grandsons really like fishing from the seawall and taking the 2 person kayak around the marsh is a wonderful way to touch nature. New in 2016, patio deck overlooking the marsh and flag stone patio with fire pit at the waterfront. We have 200 feet of river frontage with seawall. This is not a swimable area but bass fishing is great off the seawall. There is a 2 person kayak and waterfront fire pit for your use as well. PLEASE advise in advance if fragrance free linens are required. Property has a laundry area with washer and dryer. Laundry products are provided. Property has a laundry area with washer and dryer.Laundry products are provided. Doors can be left open, and with screen in place, you can enjoy this wood stove like a fireplace. If doors are closed, unit can be used for additional heat. Wood is provided. Coffee, tea, and coffee filters provided. Magazines and some books available...paperbacks may be taken with you if unfinished. Help yourself from the herb garden There are several bird feeders on the property. A supply of seed is available for refills during your stay. Patio outside the bedroom.Large screened in porch with dining area overlooking the marsh. Picnic tables at waterfront & side yard. Flagstone patio with firepit at water. Small deck midway down. 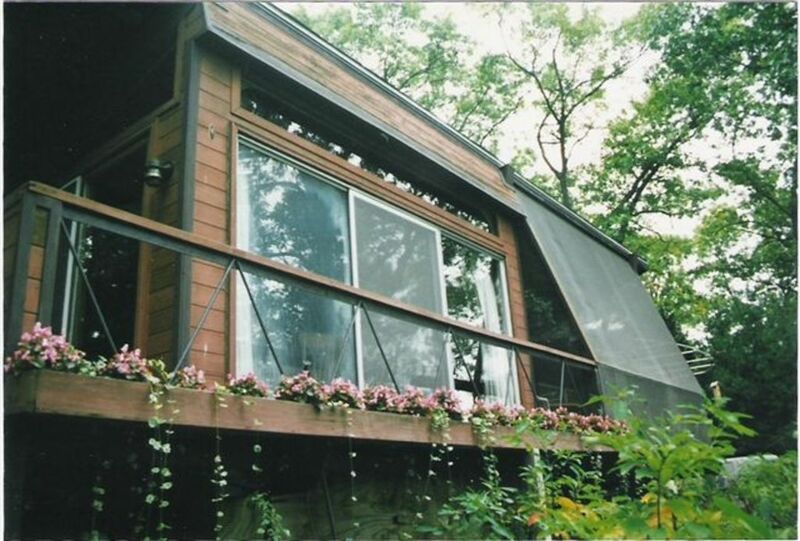 Our outdoor hot tub is steps from the master bedroom on a deck overlooking the marsh. It is very private and in operation all year. Kayak and life jackets provided. Several bird feeders and books for bird watching. Seed for feeder refills & wood for fireplace and fire pit provided.